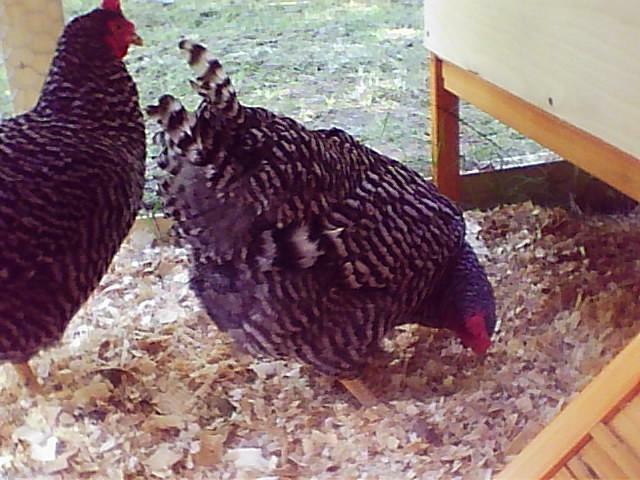 Here's a picture of my Barred Rocks: They are both two years old and we named them Eva and Zoi. We gave them the names we had picked out for our childern. I wanted to "try them out" first. This was the day we brought them home. 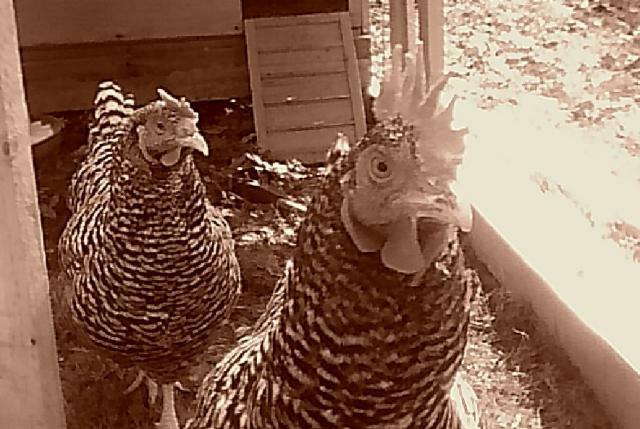 Eva and Zoi next to the coop. 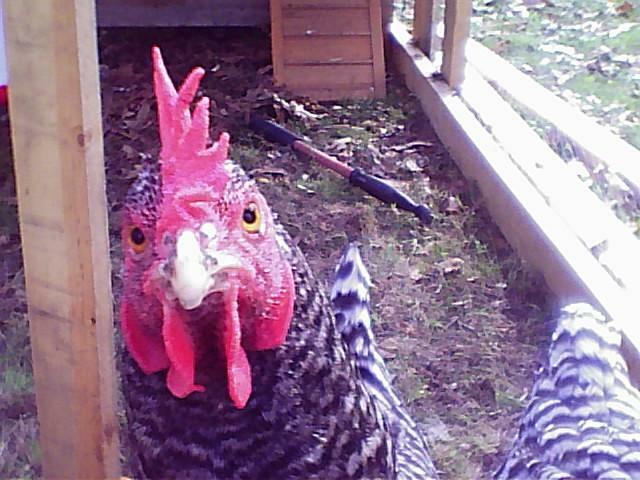 I have made some changes to our coop since this picture was taken. The pole inside has been taken out after Eva hurt herself. 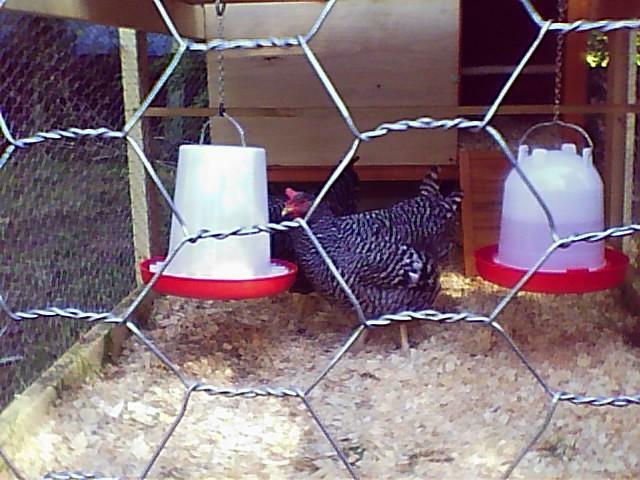 The nest box has also been improved and it has been tightned up against rain. We have a big blue tarp for rainy weather. 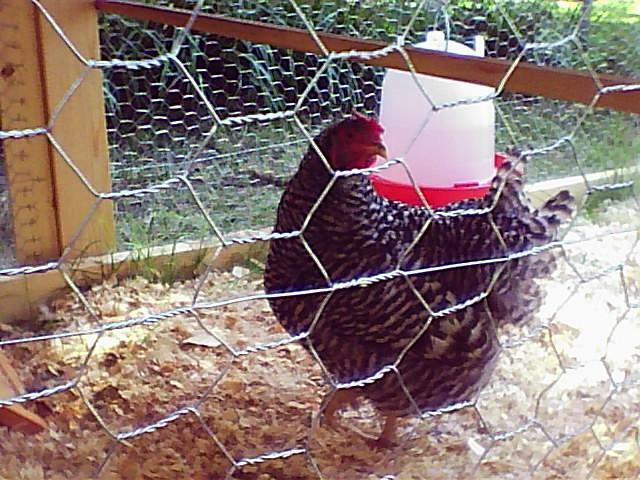 The bottom portion of the coop has been boarded up. Here's Ginger when I was trying to tell if she was a girl or a boy. Ginger lays pretty green eggs now. Ginger on my lap. 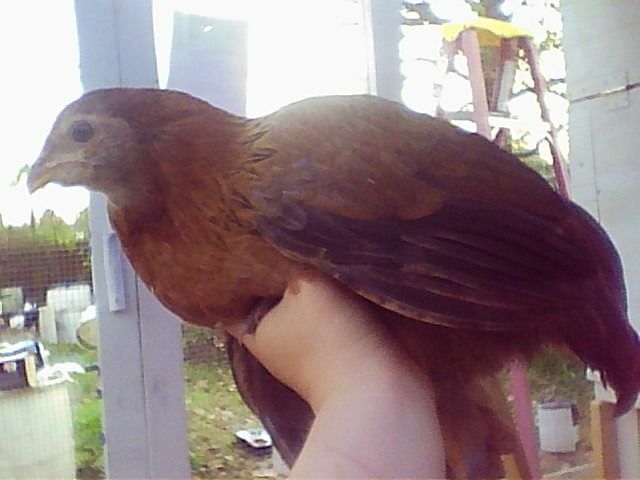 What a pretty little pullet! 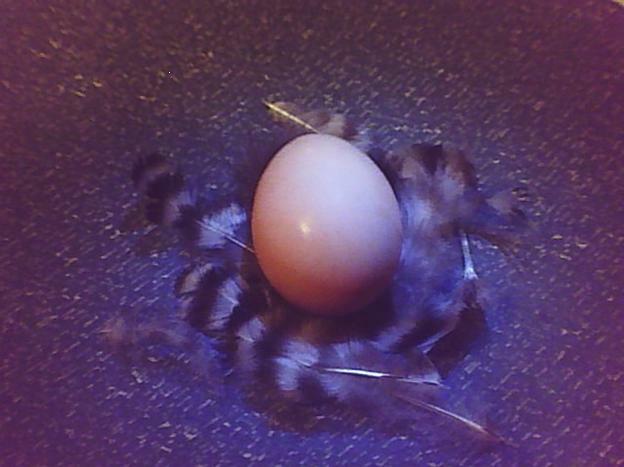 This is the very first egg I ever found in the chicken coop. I still have it incased in wax. 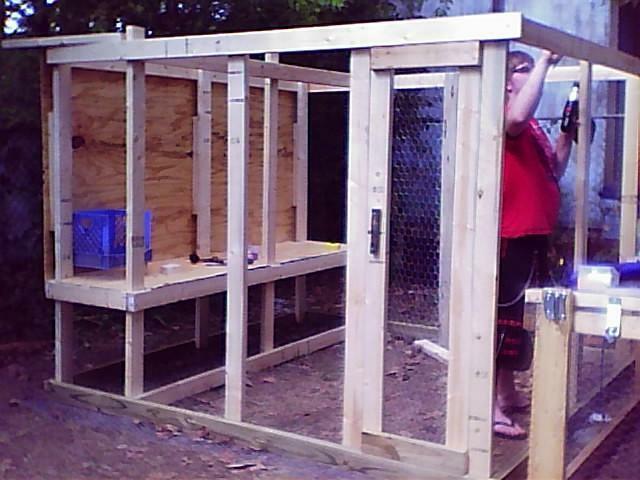 My hubby building the new 8x8x6 chicken coop. Gladys last summer. We no longer have Gladys. Zoii and Eva and the old coop. Eva passed away from liver disease on 3-22-2010. She will be missed. 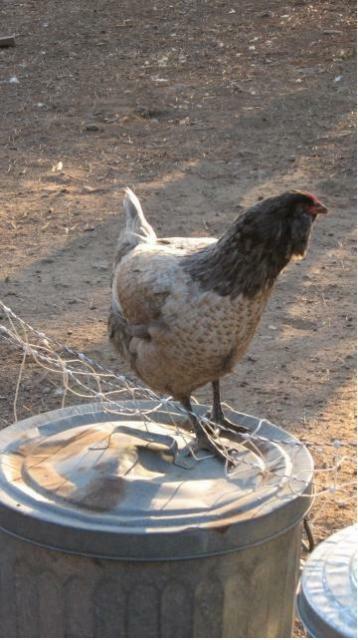 Gladys died unexpectedly 11-25-2010. 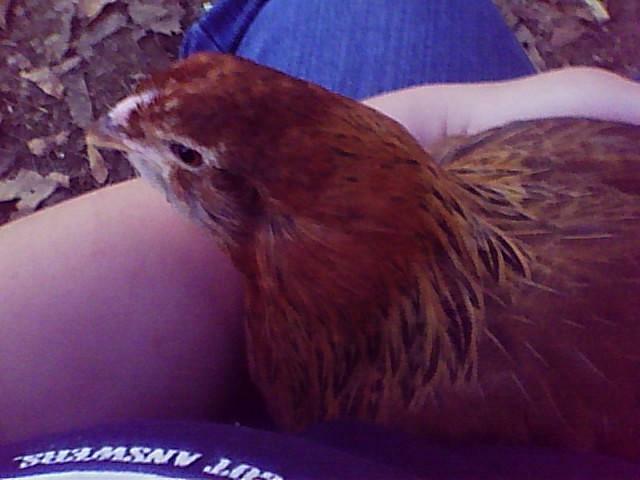 We have another chicken, Emma the RIR. I will have to find time to get a picture of her. See next page for Chicken Scratches!